Chickens NOT fed any soy. See Chicken Category page for details on their natural diet, how they are treated, and their healthy life. 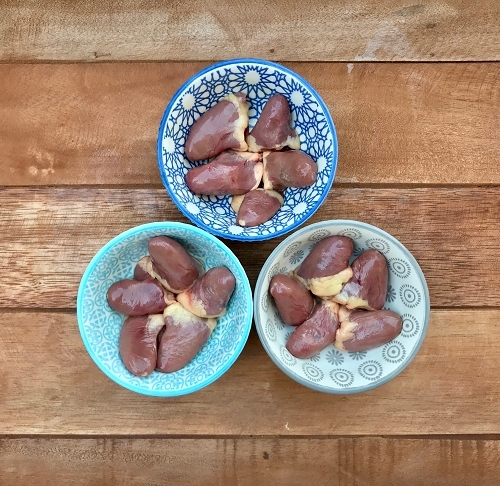 Heart meat is particularly high in the co-enzyme and powerful anti-oxidant CoQ10 for energy and protection against cardiovascular and periodontal diseases.